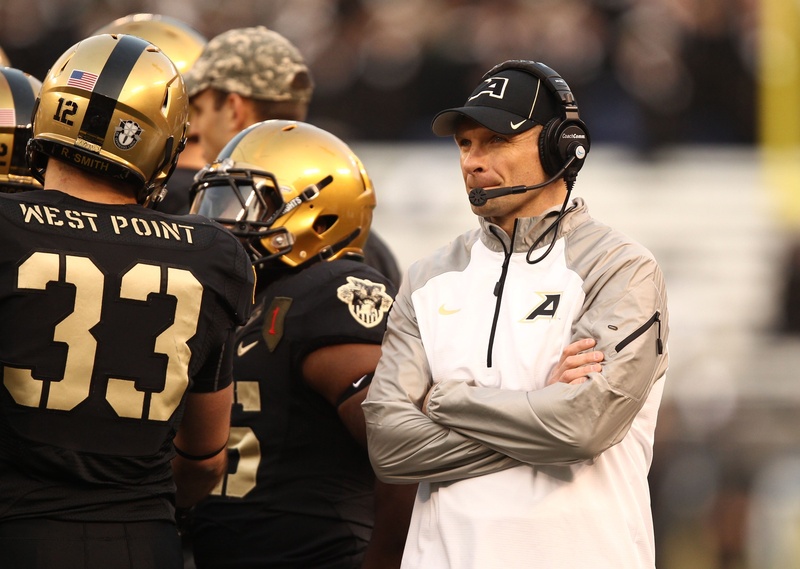 The Army West Point Black Knights will get a head start on their fellow service academies this year, opening their rebranded 2015 season against Fordham on Friday night at West Point. Fans who can’t attend the game in person can watch live on CBS Sports Network, which will air the home opener as well as every other home contest for the Black Knights this season (Get your schedule here). Can’t find CBSSN on your cable package? You might still be in luck. All football home games will be made available for free to service members with active dot-mil email accounts, the academy’s athletic department announced Tuesday. Interested fans must register with the team’s video service; a how-to guide is available here. Fans without an active dot-mil account can stream home games via the school’s Knight Vision video package. Fees and registration information can be found here. 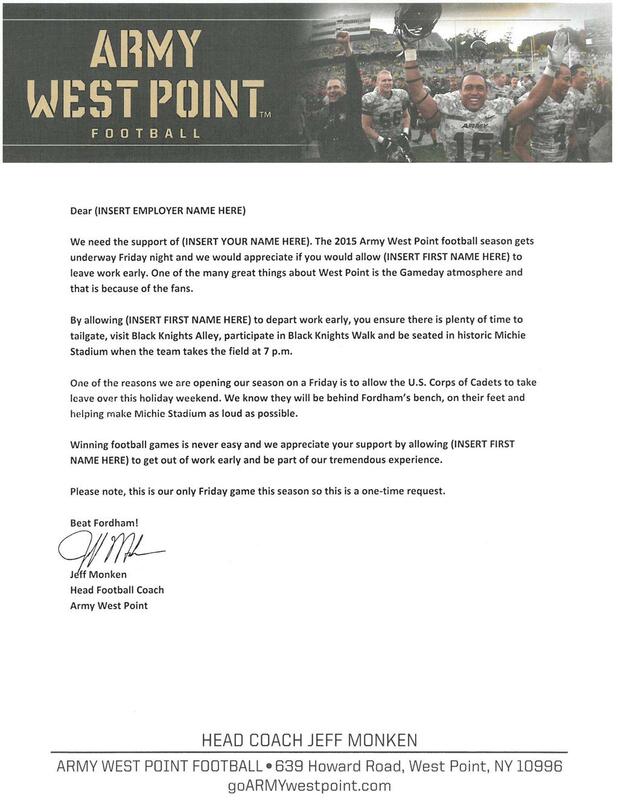 That should cover just about everybody, but what if you’re near West Point but stuck at work and worried you’ll miss Friday’s opener? You’re also covered: The team’s official Twitter account sent out a form letter from head coach Jeff Monken, asking your boss to let you out early. “Winning football games is never easy and we appreciate your support by allowing (INSERT FIRST NAME HERE) to get out of work early and be part of our tremendous experience,” the message reads, in part. Feel free to copy, paste and take your chances. Kickoff is set for 7 p.m. Friday, whether or not (INSERT FIRST NAME HERE) gets out of work in time.